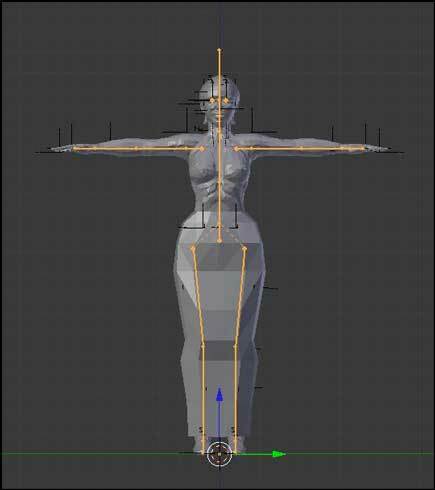 Update: 1/2014 – See: Fitted Mesh Base Avatar Files for an update on available files for use in clothes making. Update: 11/2013 – Fitted Mesh, previously the Alternate method or Liquid Mesh, is now the approved method for making mesh clothes that conform to the avatar’s shape. See: Fitted Mesh. UPDATE: 6-25-2012 – Things may drastically change. See: Alternative to the Deformer. 4/2013 – Several designers are using the alternative methods now. Linden Lab is recommending avoiding use of those non-supported features. The Lab may make changes that break the feature some day. UPDATE: Rewritten 5/24/2012 for the Bone Weights problem. 11/27/2012 Avastar Users: Check out AVASTAR: Using Freeze Mesh for Edits and Seams. My previous article on setting up Blender for making mesh clothes (Second Life Mesh Clothing Tutorial) was written in September 2011, eight months ago. I’ve updated it several times, but it is still out of date and awkward in some places. Blender is now at 2.63+ and has BMesh. Photoshop is up to CS6. The Mesh Deformer is close to being completed. We have a self correcting Bone Weight Copy add-on and more. So, lots of stuff has changed as of May 20, 2012. So, it’s time for a new version of the tutorial. A few days after I wrote this tutorial I found a problem with the file. The Paint and Weight Paint Brushes were messed up. How we create the files has to change. So, I’ve rewritten this tutorial again. This is the revised version. It replaces the previous one. In this tutorial I’ll assume you are new to making mesh clothes. I’ll also assume you have some knowledge of Blender and Photoshop. I’ll be using only Blender 2.63a in this tutorial. I will also omit the import to Second Life as this Tutorial is already over 9,000 words. Plus, there are lots of tutorials on the Second Life mesh import. There are a load of YouTube and other tutorials on Blender, Photoshop, and Second Life Mesh Clothes. So, I’ll reference those where they are helpful rather than repeat them. I’ll cover the things that I found missing and try to get all the missing pieces in one place. I’ll point out that you can save yourself a lot of this effort by buying Avastar ($22). You are going to spend more than an hour working through these steps. At the end of this tutorial you will know more about rigging mesh than if you just buy Avastar, but you will get more capability and have more tools if you buy Avastar. Avastar provides assistance for those making mesh clothes and avatar animations. So, while I think Avatar is a good deal, this tutorial will get you a foundation in mesh clothes that should make your life and the mesh clothes you make better, or at least easier. For those of you new to this, I want to point out that Blender is updating about once every 6 weeks or so or at least 4 or more times per year. So, you are going to be updating often. Not all Blender updates work so well with Second Life. Your life will be much easier if you have multiple copies of Blender installed. I have 2.49b and 2.63a installed now. There is a hard way and an easy way to do installs. Read: Blender 2.57b Released for the easy way and more on why to install multiple copies of Blender. If you are going to use Blender 2.59 to 2.62, know that these versions do not correctly export a Collada file from the Domino Avatar file. You need to get Gaia Clary’s modified Collada export (free) add-on. You will find the file and instructions for installing it at Machinimatrix.org. Scroll down and find Collada fix add-on. Or just upgrade Blender to 2.63 and newer, which has its other problems. There is lots of confusion about which avatar the Mesh Deformer will use. The confusion comes from the use of the words ‘Default’ and ‘Ruth/Roth’ in connection with the Second Life Avatar. They are NOT the same. Ruth and Roth are the names of the basic avatar meshes taken from files built into the viewers. Using the Ruth/Roth models the viewer’s DEFAULT SHAPE makes them into the shape the Mesh Deformer uses. Getting a mesh that is the right shape is easy. The default shapes are shown in the opening image. You can export a copy of the viewer’s default shape or export a copy of your custom personal shape. Any shape that you have permission to edit can be exported and used as a base for mesh or the system clothes. There are typically only 3 parts that are needed; head, torso (upper body), and legs (lower body). You can also download files that are copies of what others have already exported. That will save you some effort. I’ll explain how to export shapes later in this tutorial. Now I will try to clear up confusion on which files are which and which is best to use. Let’s start with ‘why.’ There are multiple ways to use the avatar mesh. One is to simply make system clothes, the standard system clothing people have been making for years. Chip Midnight and others have made templates as a Photoshop/GIMP short cut to making system clothes. This entry was posted in Clothes Skins Etc, Mesh, Second Life and tagged Clothes, Mesh Tutorial, Tutorials. Bookmark the permalink. Greetings Nalates, thank you so much for this nice tutorial. This could my final motivation to push myself learn make clothes. You may be right. There may be some viewers that use the STORM-1800 Avatar. BUT… I expect those to be experimental versions. I think all the main versions TPV Dev’s release will use the same LL avatar. That because of the recent TPV Policy change. Most dev’s interpret it more strictly than I do. I have yet to test the STORM-1800 avatar to see how it works. Nal, I think the key to exporting your shape in the SL viewer, at least for Windows, may be to run the viewer as administrator. If I don’t do this, the shape doesn’t export while if I do run as administrator I do get the new_arrchetype.xml file. Right click on the icon that starts the viewer and select Run as Admnistrator. I think the problem in windows is that the program tires to write to the Program Files (x86) folder which is only allowed in administrator mode. No… it depends on the version of the viewer you are using. I’ve tried the run as Admin, select avatar, etc. Plus Whirly was able to reproduce the problem. Well, I tried it on v 3.3.1 as described, and was able to successfully export the xml. It also works on the current versions of Firestorm and Dolphin, although not in Niran’s. I thought I’d mention it since you specifically mentioned v 3.3.1 of the SL viewer. It could be operating system dependent too. And they changed the name, which is why I could not find it. This is a great tutorial!. Thanks so much for taking the time to do this. I’m just starting to learn Blender and working with mesh. I agree it’s important for people to get under the hood and learn the “poor man’s” approach to doing this. When I get more time, I plan to walk through every step of your tutorial. I also agree that Avastar is a great product. I’ve uploaded my own shape and am making animations specific to it. Although I haven’t tried mesh clothing yet, making regular mesh objects and uploading them to SL is pretty seamless. It’s cost of $22 USD is no more than most good books. Just to double check, if you have the avastar add-on you don’t need the Bone Weight Copy script, correct? Look in your User Preferences -> Add-ons. It will be near the top if it installed. Look for 3D View Copy Bone Weight. Not sure if I am missing something here. It seems like everything does great up until I do the bone weight copy. From what I can tell, it appears that the process sets the weight for all bones to zero not only on the target mesh, but on the mesh being copied from. 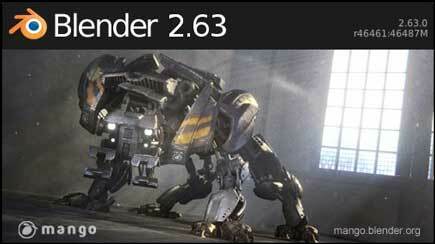 I’m using Blender 2.63a. Is there a known issue, or a different weight copy plug-in I should be using? n/m id10t error. 🙁 I selected the meshes in the reverse order. 🙂 That would do it. I am finally anticipating some time to learn how to make mesh clothing and I had no idea where to start. Where else? You never fail us. Thank you! Be sure you see the Alternative to the Mesh Deformer. It may change everything. I cannot get the bone weight copy to work I have redone all the steps starting at page one more than 25 times now & everything is fine up to the bone weight copy. They never copy…I have made sure both layers are selected & my mesh is chosen 1st & then the mesh to be copied from which I made sure had weighting. Blender acts like it’s doing something for a minute or two but when it finishes there are no bone weights in my mesh. 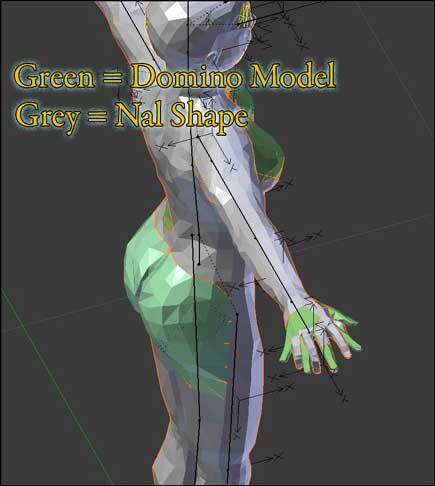 Check the weight painting on the source… make sure your source avatar shape has weight painting. Open a new copy of your base file, add a cylinder around the avatar. Add some edge loops (Ctrl-R then mouse wheel). Parent it to the armature. Do a Bone Weight Copy to see if the weights transfer. Pingback: Thinking About #SL Mesh Modeling? Awesome. Works like a charm and very well written. But I have a problem. When I upload my rigged avatar its head and feet shrink. Any idea why? Just imagine I placed my standard rant about including your technical information in with a question about technical issues. Also, your fastest and likely best answers will come from the SL Forum’s section on content creation. hello may i ask something? can we put a cloth pattern in blender? and apply it to an avatar body? Thanks for this! Now that Blender has a transfer weights option built in, are you planning on updating this guide for that? I’ll probably put off updating until I am sure we have a working Fitted Mesh process. The ‘Fitted Avatar Model’ in the viewer is broken. We have JIRA BUG describing problems. The Lab will likely have to make some changes. I have no idea how that may affect what we know now.